1.2 For the purpose of the EU2016 General Data Protection Regulation (the “GDPR”), ICLEI- Local Governments for Sustainability e.V. 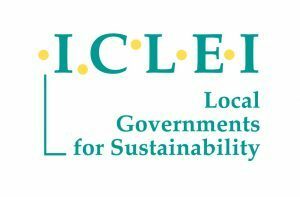 (ICLEI World Secretariat), based in Kaiser- Friedrich- Straße 7,53113 Bonn, Germany, (thereafter ICLEI e.V), acts as data controller. 1.3 ICLEI does not have any responsibility on how other platforms and websites outside of the RC 2019 website collect, use and share users´ personal information, even if those platforms / websites have a link on or from the RC 2019 website. It is the responsibility of the users to check in each specific case if other websites provide a safe environment for their personal information from unauthorized access, use or disclosure. 2.1 The RC 2019 website collects internet Cookies from all its users. The purpose of Cookies is to improve your online experience on our website by informing the webserver that you have returned to a specific page, which allows it to load the page faster with your personal features and to save time. Cookies are text files created from the moment you download the webpage and is stored on your computer by a webpage server. They are uniquely assigned to you and can exclusively be read by the webserver in the same domain which issued the Cookie. They cannot be used to runs programs or viruses. 2.2 Examples of Cookies are the google analytic tools, used for the RC2019 website to collect information about your computer that is automatically provided to its server. This information can include: your IP address, browser type, domain names, access times and referring website addresses. This information is used by ICLEI for the operation of the RC 2019 website, to maintain quality of the service, and to provide general statistics regarding use of the RC 2019 website. 2.3 You have the ability to accept or decline Cookies. If you choose to decline Cookies, you may not be able to fully experience the interactive feature of the RC 2019 website. For participants requesting a student discount on the registration fee, a scan of student ID shall be provided. 3.2 An identification number is assigned to all register users. This user id can help ICLEI track any changes requested by the user when submitting data on the RC 2019 website. 3.3 You may communicate with the RC 2019 team by e-mail (resilient.cities@iclei.org). In this case, your personal information will be collected to enable ICLEI to deliver the services you have requested. to contact you for communications related with the service provided by the Resilient Cities series. 4.2.2 In the context of the above missions, ICLEI might also transfer your personal data to its partners and donors. 4.3 All third parties with access to your personal data are required by ICLEI e.V. to maintain confidentiality of your information. 4.4 Other third parties as the ones mentioned in 4.2.2 are prohibited from using your personal information. 4.6 ICLEI e.V will never use your personal data for any commercial use. 4.7 ICLEI e.V will not place your personal data on any mailing list that you do not opt-in to. 5.1 Participants names will be disclosed on the participant list. (b) In good faith, when disclosure is made necessary to protect the ICLEI´s right of property, and/or the personal safety of its users or the public. 6.2 ICLEI e.V will hold your personal data on its servers for as long as needed to achieve the legitimate purposes of why those data were collected for the Resilient Cities series. The appropriate duration of retention of personal data is determined by this, as well as, by their nature and sensitivity, also considering an assessment of the risk of unauthorized use or disclosure of those personal data. ICLEI e.V. will automatically delete all data which is no longer considered relevant for the Resilient Cities series purposes. ICLEI e.V does not collect any of your bank details. 8.2 For any request concerning your right please contact our personal data officer (privacy@iclei.org). All questions or requests regarding the RC 2019 personal data policy can be addressed to privacy@iclei.org.